Rogue is one of the mutant in the X-Men community. X-Men is a newly made supernatural series which consists of humans containing special abilities. Rogue is one of the characters who is extremely powerful. Her ability consists of absorbing powers and memories from anyone who touches her. However, she thinks of it as a curse! However, much rogue hates herself or powers, nobody can deny that she’s super cool and her costume is absolutely Halloween worthy. It basically consists of a double-shaded, yellow green suit with a brown belt, her jacket and her signature hair! 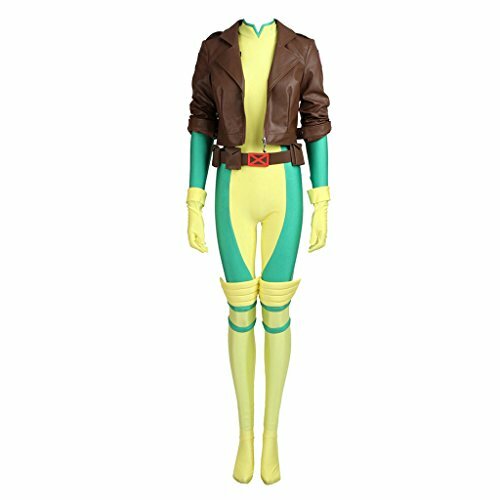 You can find the costume online but if you wanna be creative you could try and make the outfit on your own from scratch, we’ll guide you with the process with this Rogue X-Men DIY guide. So without further ado let’s get right into it. 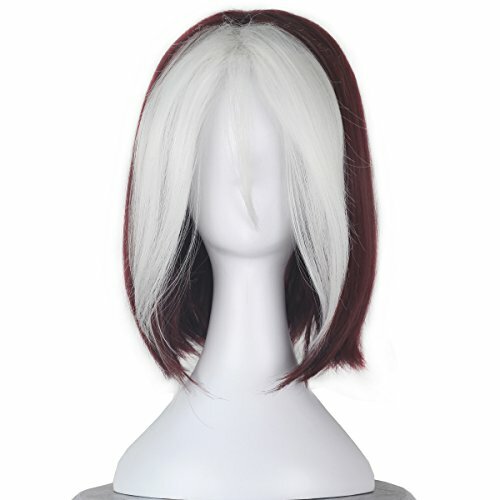 If you don’t have time to make the cosplay yourself then the first thing you’ll need is buy is a wig. 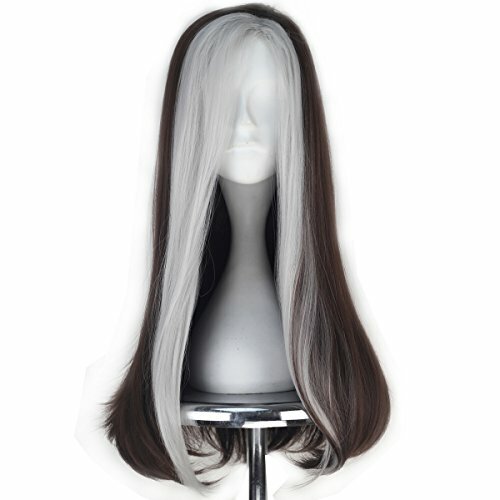 Rogue has brown hair with gray streaks in the front, similar to these wigs above. Go with whichever length you prefer. 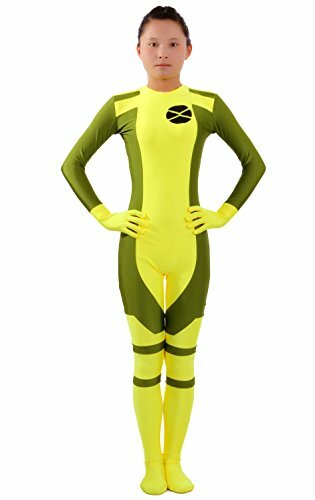 Then you’ll need her bodysuit which is yellow and green with the X emblem on the chest, here are two options one with a brown jacket and one without. The fabric from which her suit is made looks like a spandex one. Hence, look for spandex or fabrics by McCall or anyone else you think sells good fabrics. You need a sewing kit or a machine, whichever is available through machine will do your work quickly. You also need some pens or markers for drawing out a rough label or her belt so that it can be easier to follow later onwards. First, lay down huge sheets of newspaper and trace your body outline. When done, then slowly examine it and start trace rogue’s body suit on top of it. It’s better to keep it loose about an inch so that it can fit you with ease. Start cutting out the arms, one side of the fabric i.e. green part, other side of the fabric i.e. yellow part, cut out the legs, the sleeves and shoulders. Now with the help of these newspapers, cut exact measurement from the fabric. Slowly start sewing every part of the fabric. First the main body part, then shoulders, eventually sleeves and finally legs part. Now for the belt, wear any brown belt and stick a paper mache sign on it or let it be and simply go for the brown belt. Add it up with a brown jacket and yellow long boots. Rogue’s brunette with white streaks so either do the same or get yourself a wig and paint a few strands white.